Two invitation templates are provided: Invite to Bid and Follow-up Invitation to Bid. They function the same, but two templates allow you to tailor and retain different messaging for initial vs follow-up invitations. 1. From the Users page. The users page is ideal for sending invites to as wide a pool of your supporters as possible. This page also has the most advanced filters for selecting specific groups of supporters (such as users who have been invited, but not yet placed a bid or users imported from a specific spreadsheet) so it is well suited for targeted messaging. 2. From the Tickets page. 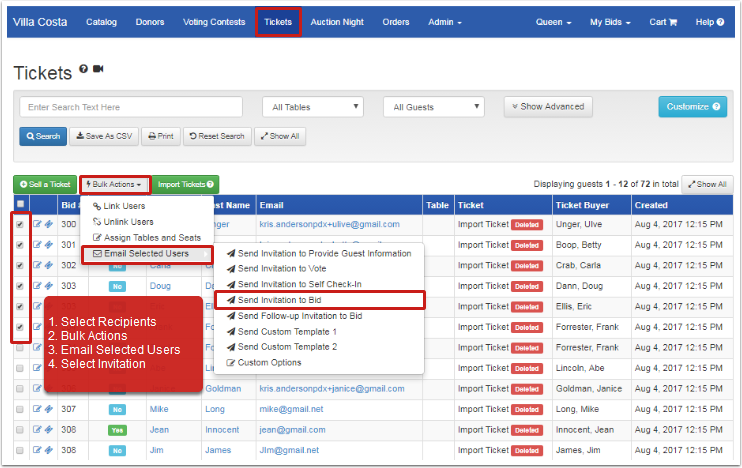 The tickets page is the easiest place to send invitations from if you are targeting guests that have tickets to your event. 3. 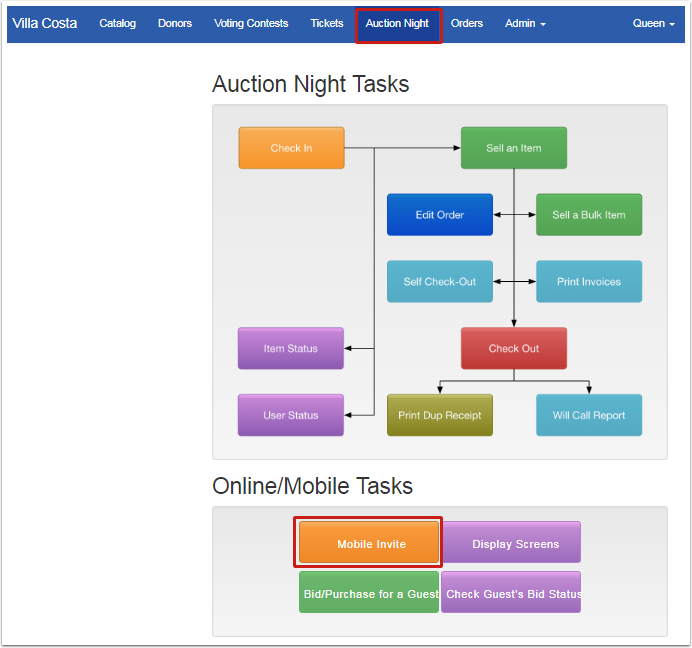 From Auction Night Tasks > Mobile Invite. 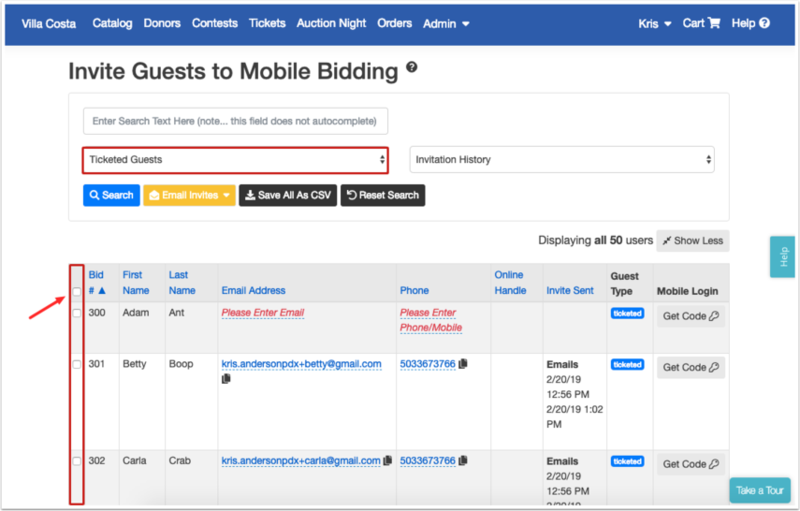 The Auction Night Task screen has the advantage that it displays timestamps for all invitations to bid sent from anywhere within the software. 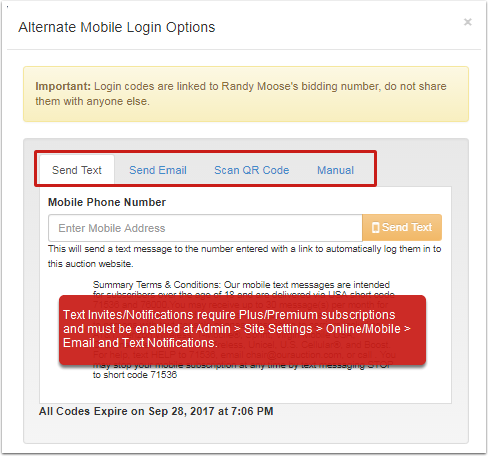 It also provides alternatives (including text messaging) for supporters that are not able to access an emailed invitation so it is the best place to work from during your event. 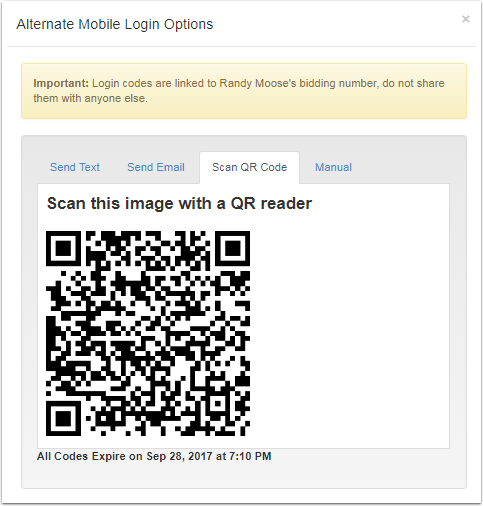 Verify the email address on record is correct and accessible from the guest's phone. 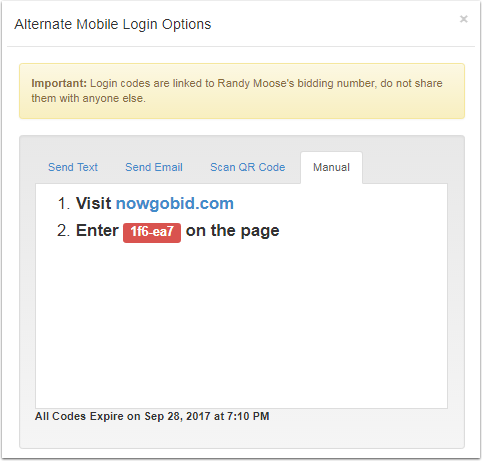 To resend to a different email address: click on the email address to edit, then resend. Verify that email wasn't directed to spam or junk folder.